Hello Spring! 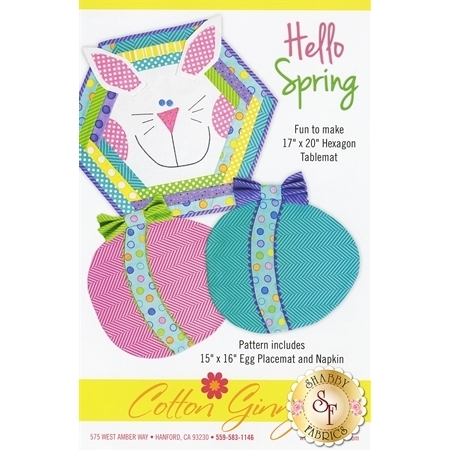 Celebrate the Easter season with this fun bunny hexagon tablemat and egg placemats and napkins! Hexagon Tablemat measures 17" x 20". Egg Placemat measures 15" x 16".